We are a rice loving family but plain rice gets really boring after awhile. 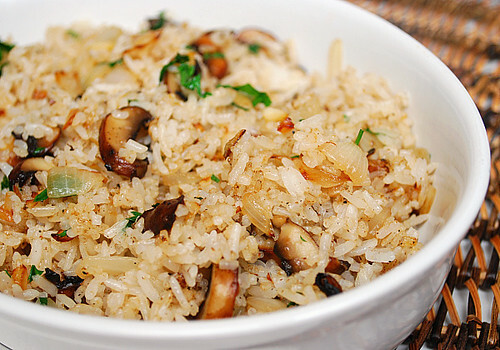 To switch things up, I often make variations of rice side dishes such as risotto, fried rice and my favorite, rice pilaf. 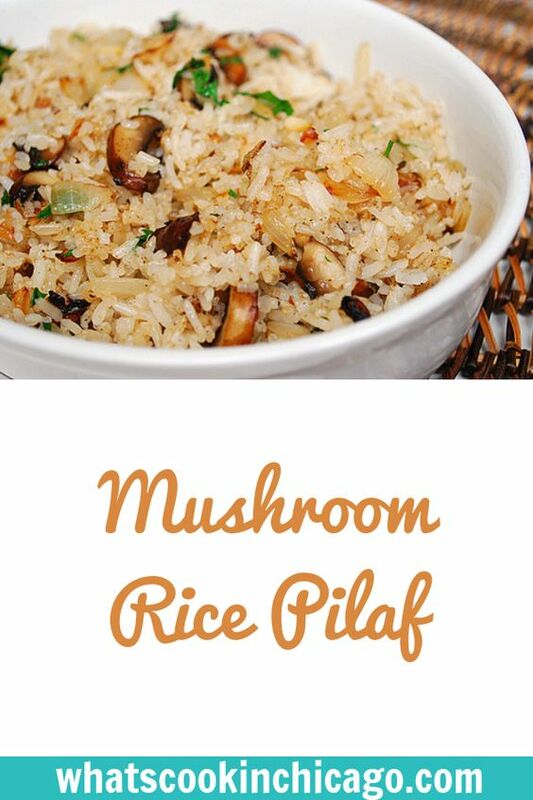 My current favorite rice dish is this Mushroom Rice Pilaf which I made to accompany our Horseradish Crusted Ribeye Steaks for our recent anniversary dinner. This was an excellent recipe and it made some good use of cremini mushrooms I had on hand. The addition of bay leaf and rosemary lent some nice aromatics and flavor... and since we love garlic, I added some minced garlic as well. The key to this recipe is making sure you saute the mushrooms until they are really caramelized so they have an extra depth of flavor to bring to the overall dish. Melt the butter and olive oil in a hot skillet over medium low heat. Add the onion and garlic and season with the salt and pepper; cook until the onions are soft, about 5 minutes. Add the sliced mushrooms and cook until caramelized. Stir in the broth, bay leaf, and rosemary. Bring to a simmer over low heat, cover, and cook until all the broth has been absorbed by the rice and the rice is tender, Stir in the parsley and fluff the rice with a fork and serve.